Turkey’s strongman must address Turkey’s mounting domestic and foreign policy problems while cooperate with a parliament that is much more diverse following Sunday’s polls so that he is not vulnerable at the local elections in March 2019, wrote Kemal Kirisci, director of the Turkey Project, and Senior Fellow at Foreign Policy, Center of the United States and Europe at Brookings Institution. While Sunday’s parliamentary and presidential elections in Turkey—which saw a remarkable 87 percent turnout yielded a victory for Erdoğan, who received 52.5 percent of the vote, his leading Justice and Development Party (AKP) fell short of expectations with 42.5 percent of the vote. AKP’s ally, Nationalist Action Party (MHP) received 11.1 percent of the vote and obtained 49 seats in parliament. Main opposition Reople’s Republican Party (CHP) won 22.6 percent and the newly formed Good (İYİ) Party, led by Meral Aksener, won an impressive 10 percent of the vote in its first-ever election. These two parties will have 146 and 43 seats in parliament, respectively while the pro-Kurdish Peoples’ Democratic Party (HDP) surpassed the 10 percent threshold for entering parliament, winning 11.7 percent of the vote, that is to say 67 seats. ‘’The new composition in parliament, which is somewhat less favorable to Erdogan than before, will bring a new phase. 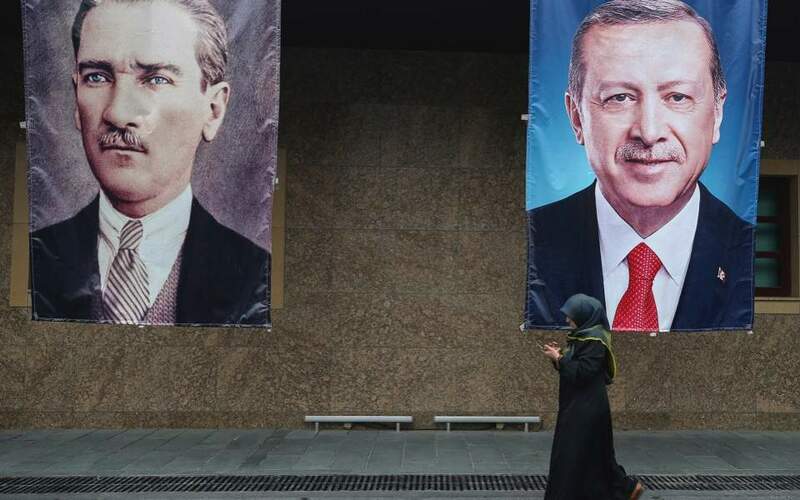 While it’s hard to imagine that Erdogan will engage in constructive and compromise-driven politics, the new parliamentary reality—combined with his past record of pragmatism—may open room for more pluralistic politics,’’ Kirisci noted. While stressing that Erdogan’s approach to the economy will be an important indicator to watch, Kirisci underlines that blaming external factors and their domestic collaborators for Turkey’s economic woes will not suffice to bring down inflation or unemployment from their new heights, nor will it fix structural problems such as persistent current account deficits. ‘’It remains to be seen whether Erdogan will take this as an opportunity to address the long list of challenges facing Turkey and reconstruct its democracy and economy, and regain the respect that he once enjoyed internationally. The March 2019 municipal elections will be the next test of his performance,’’ Kirisci wrote. Sunday’s election in Turkey—which saw a remarkable 87 percent turnout—yielded a victory for strongman Recep Tayyip Erdogan. This, despite a surprisingly strong opposition challenge that he had not seen before.